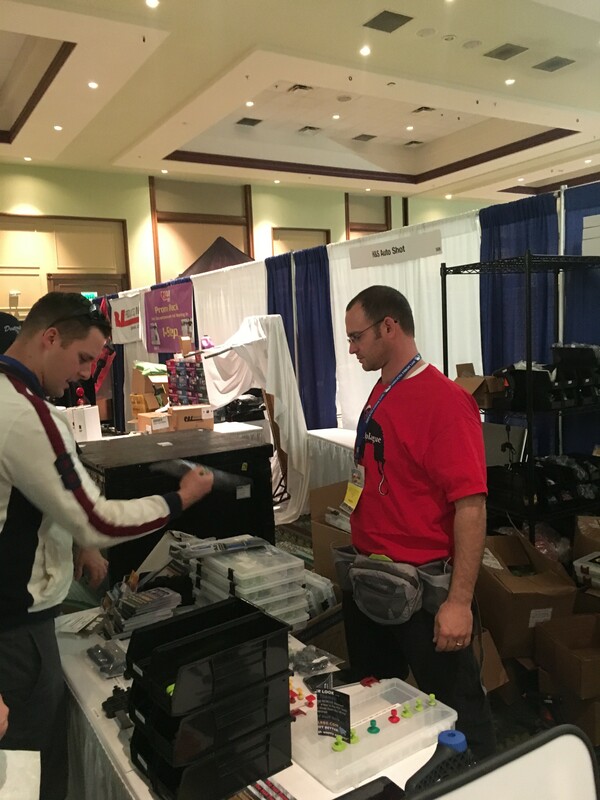 From 28th until the 30th January the 15th annual Mobile Tech Expo for appearance repair and reconditioning professionals was held at the Hotel Caribe Royale in Orlando Florida. From a Paintless Dent Removal perspective this is a must attend event where like minded technicians and company owners can attend seminars, share ideas and industry improvements, see the latest tool innovations and catch up with colleagues and friends from around the world. For 3 days before the main expo, Keith Cosentino and Shane Jacks from PDR College held their second annual advanced skills seminar. Subjects such as large repairs, glue skills, sales and pricing, and hail repair management were covered. 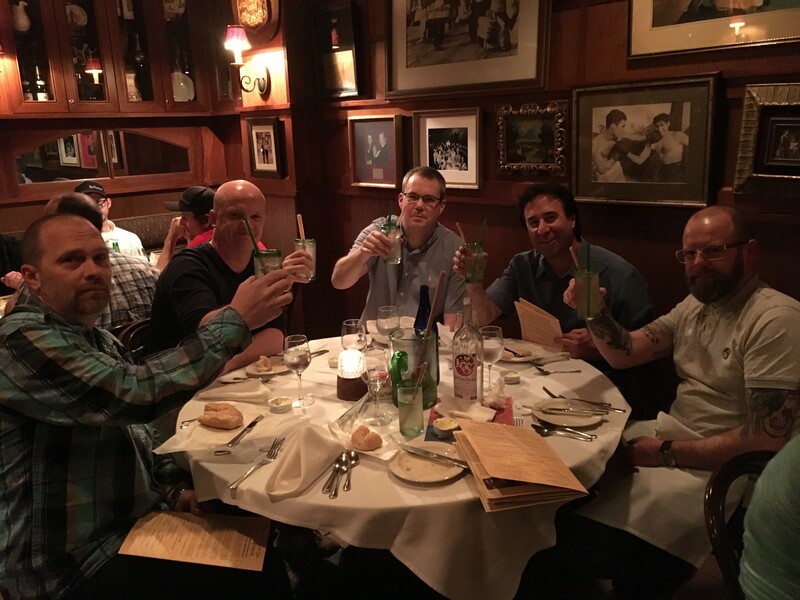 60 attendees were engaged by some of the PDR worlds most skilled and experienced technicians, Bryce Kelly, Tony Frasher and Max Van Nostrand, Sal Contreras, Paul Kordon and of course Keith and Shane shared their knowledge and experience to help the industry ‘ Get Better ‘. All participants came away having gleaned valuable information from this exclusive mini event. 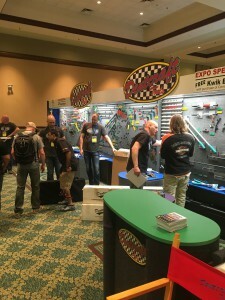 Other Seminars were held in the many conference rooms around the exhibition centre teaching and educating in such fields as retail pricing, marketing your PDR business, hail damage and motorcycle PDR. Specific company and organisation meetings were also held by the likes of PDR Nation and Dent Wizard. On the Friday the doors opened in the main hall where the many tool suppliers and manufacturers from around the world had their new design innovations, digital concepts and tools on view for all to try and buy. Ultra Dent Tools, Dent Craft, Dent Gear, Black Plague, Jack hammer PDR, Mobile Tech Books and Keco to name a few. Throughout the event technicians from around the globe can compete in the annual ‘ Dent Olympics ‘. An event to test the skill, and nerves, of PDR technicians brave enough to enter. 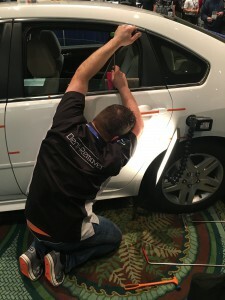 Dents are put into car panels with an air cannon so each competitors damage is as consistent as possible. Each technician is allocated one of the dents to repair at a given time slot in a set period of 45 minutes. At the end of the weekend the winner who produced the cleanest repair is awarded the winning place, with this years winner being Ivan Sklaruk from the United States. 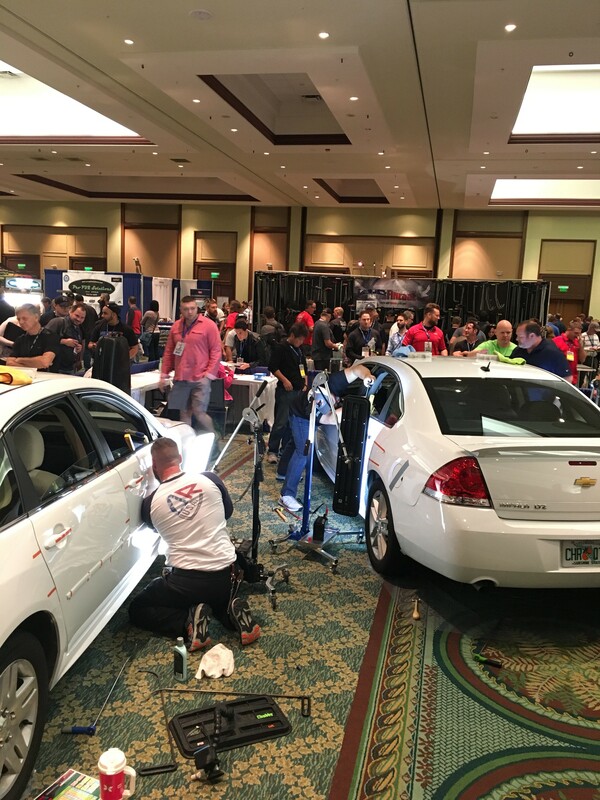 Not only is this event invaluable for education and new tools but also for networking with other like minded individuals and companies from the Paintless Dent Removal Industry. Technicians get the chance to introduce themselves to other people they’d like to work for, offer their resumes to interested parties, or to simply just meet, to ask questions and to listen to all the different ideas and plans within our field. The Paintless Dent removal industry is professionalising fast. Especially over the last couple of years, due in part to the efforts of companies like Dent Trainer, PDR College and The Hail Company and the efforts and work they put in to help the industry achieve this, on line and at events like this. Also though, to the technicians who put their hands in their pockets and pay to attend events like this and by investing in themselves to constantly improve, grow and educate others around them. The Mobile Tech Expo is an exciting place to be for the PDR nerd, and probably where you should be once a year if you want to keep moving at the pace at which this industry is moving at the moment. So a big thanks to Kevin Halewood and his team for all the efforts to make this THE event which it has become. Roll on next January!